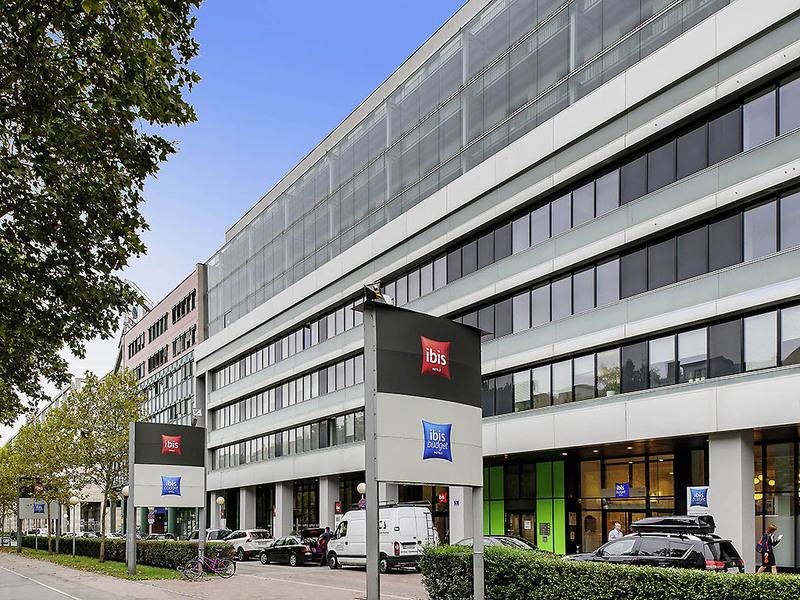 The ibis budget Wien Messe is an affordable bed and breakfast, not an economy hotel. Stay in a comfortable, modern room for 1 or 2 people, equipped with shower, WC, free WIFI and satellite TV. The Reed Messe congress center, Austria Center Vienna, Donauin sel (Danube Island), Praterstern train station (high-speed line to Vienna Airport) and the city center/St. Stephen's Cathedral are all within easy reach via the U-Bahn (subway), as are Prater park and UNO City. Enjoy our all-you-can-eat buffet breakfast. I checked in at around 10 am and within two hours had to cancel as I had received notification about the death of my father and had to go back home but hotel refused to refund me the money or a fraction thereof. I had a an extremely bad experience. I received information about the death of my father just within two hours of my check in. I approached reception to cancel the booking as I had to go back home immediately as I could no longer attend the meeting for which I had booked the hotel for. Unfortunately the reception staff refused to refund me my money or even a fraction thereof considering that I had effectively not used the room nor had I even unpacked my bags. To me, this sounded like they were already intent on stealing my money notwithstanding that I was already grieving the passing away of my father. The staff was extremely inhuman, hence my dissatisfaction. Straightforward and courteous. The bed was comfortable and I slept well. Improvements would be: some drawer space tea/coffee making facilities. Only on one day our of five was anyone checking who had breakfast. And the list was incorrect; I had paid for breakfasts but the list said I had not paid. Enjoyable stay. Friendly reception staff, simple but comfortable rooms. Decent breakfast selection. It was a basic experience for a budget hotel, but, hey, what do you need? A clean room, a clean shower, a basic breakfast. These are the things that you need. And these things are in Ibis Budget in Wien. I will come back next time also at Ibis. If not this, another, but certainly at Ibis. Everything was fine. Especially the WiFi-Access was very fast and the breakfast was tasty. The room was always clean, but please replace the plastic glasses with real glasses. When I was saying in the hotel I felt the good quality of services (clean room, free WiFi ...etc ). there is a need to arrange a payable early check in and a late check out according to hours. experienced staff speaking many languages including french. Clean room and hotel. It was as expected. No frills but clean and quiet. At the reception don't expect to get any service but the minimum related to registration and formal procedures at the arrival and departure.If you want to get some tips about the city and surroundings you MUST ask for that. Very sterile approach from the staff. No big issue but no real interest. I spent a pleasant two-night stay in this budget hotel. The hotel is located on a busy road but there was not undue traffic or other noise. It is close to a metro station for connections. The room was clean and fairly spacious for myself. The breakfast was buffet style and fine given the price. The Hotel was very clean and the desk, dining and cleaning staff were very helpful throughout my stay. Whilst the hotel was well occupied it was always quiet. It is located close to a Metro stop and is only two stops from the Vienna International Centre and in the other direction only a few stops to get to the visitor sights in the city centre. .
Convinient location: Next to the subway, only 10 mins to the historical center of Vienna. Also, next to the train station that goes to the airport. Good breakfast. Clean room. Friendly and helpful stuff. Affordable price for the value. Recommend! The location and price are valuable. I just walk to get the near train station and it's easy for me to get to airport to and from city. My room is cleaned everyday even I didn't inform the hotel. Unfortunately the menu for breakfast is not vary. Over all the hotel facilities are ok with me.